The seven laws of trusted advisor. Everyone is an advisor to someone. 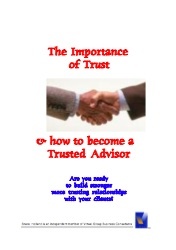 Building trust and knowing how to advise is a critical skill.